Do you need money to help you get into a home in the Boston MetroWest area? One of the hardest things about getting into a home is saving for the down payment and closing costs. But did you know that it is a MYTH that you need 20% down in order to buy a home? Yes, it’s true! There are down payment assistance programs that will help you so that you can begin to build wealth by owning your own home. There is a national program called the National Homebuyers Fund, or NHF, that will give you a 4% grant to help with closing costs and down payment. It is a non-repayable grant up to 4% of the mortgage loan amount. It can be granted for people with low to moderate income levels and FICO scores down to 620. This program is NOT limited to first time home buyers, but it must be for your primary home. If you’re thinking about that vacation home down in Florida, this wouldn’t be a good fit. Even better news, gift funds and seller concessions are allowed! 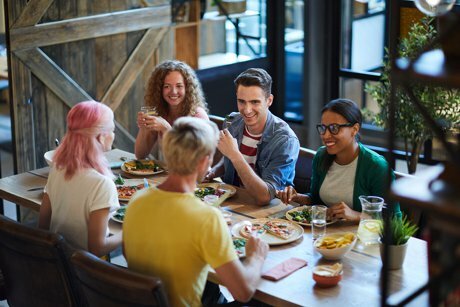 Owning a home helps to give you stability, improves the community, gives you tax benefits and provides long-term wealth when home prices go up. In fact, research shows that it's actually MORE expensive to rent a home than it is to OWN one. The bottom line: it’s time to become a homeowner!! You can make today a great home buying! Reach out to me by phone or text at 978-505-1466 for more information on this and all your real estate needs! Are you thinking of buying a fixer-upper home in the Metro West area as an investment? If you’ve been thinking about it, there are 5 parts of the home you must check before making that purchase! Read on or watch my video to find out why. A standard-shingle roof only lasts about 20 years. You’ll want to inspect the roof on the home you’re looking at, because the average roof replacement costs between $10,000-$15,000 or more. Take this into consideration if you are planning to flip your home! After the roof, replacing a home’s HVAC system is the single most expensive item you’ll be involved in fixing. Depending on the system’s size and the type of equipment you purchase, you could easily be looking at $8,000 or more to replace a system. On some older homes, you may need to also add new duct work, so make sure you think about that, as well. The foundation is what supports the home, so it’s essential for it to be checked thoroughly. If the foundation has large cracks or looks like it is sinking, then you’re going to be looking at major repair investments. Not all foundation problems are found outside the home, though. Other signs could include uneven floors, gaps around window frames or doors, doors that stick or won’t close properly, and horizontal cracks in the basement walls. 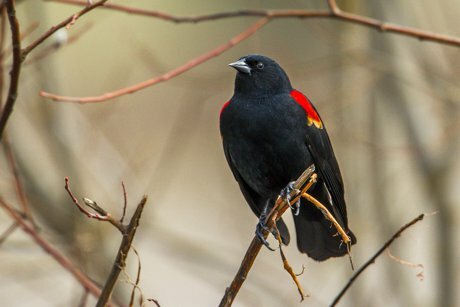 Make sure you check for all of these red flags. You will need to make sure that the electrical system in the house is up to code. Any old or outdated equipment will need to be updated and replaced. In many cases, the panel box will need to be updated, and extra circuits will need to be added throughout the home to bring it up-to-date with today’s technology needs. If the investment property you’re interested in has been sitting empty for some time, then there is a good chance that there could be problems with its plumbing system. When pipes are not used for a long time, they can become dry, brittle, and more likely to develop leaks. It is important that you check them thoroughly. Beyond these five critical pieces, you’ll also want to check a few other things. Look for insect or pest infestations, mold, dry rot, asbestos, water damage and, last but not least, the home’s location. While it’s every investor’s goal to sell an investment property after fixing it up, there are some instances where a home still won’t sell, even after your renovations. If you want to be a real estate investor, you’ll want to ensure that the home you invest in can still turn an eventual profit if you are forced to rent it out, instead of selling it quickly. Your profit will take longer to accrue this way, but at least you won’t be sidelined with a second mortgage if you can get a renter in at the right price. 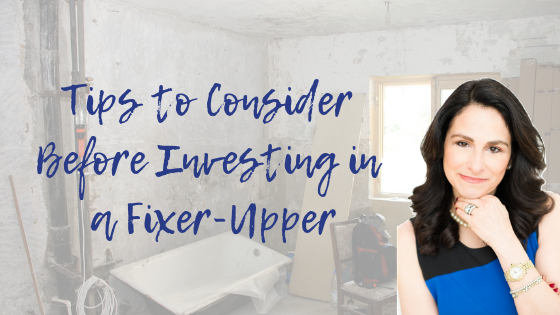 If you’re looking for more tips on investing in a Boston area fixer-upper, check out my downloadable PDF. It’s full of great information! If you have questions after that, feel free to give me a call, I’m happy to help. Would you rather watch a video than read this post? Check out this video and more on my YouTube channel, and make sure you subscribe. 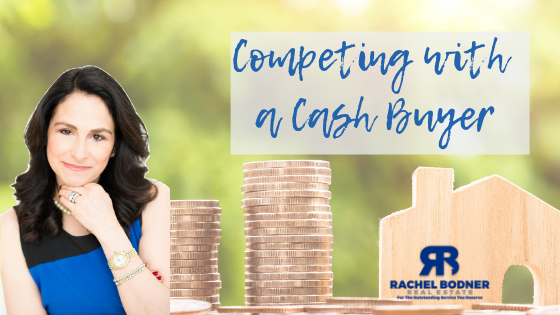 If you have been in the market to buy a home in the Boston Metro West area recently, then you may already know how competitive it can be. Some buyers will do anything to get a home, including paying in cash! What can you do if that happens to you? Let’s look at six ways you can increase your chances of getting a home in a multiple offer situation, especially when you are up against a cash buyer. Most serious homebuyers get pre-approved before hunting for a house, but they don’t actually apply for their loan until after making an offer. If you really want to compete with cash buyers, it can be a good idea to ask if you can begin the application process right away. This way, you can tell the seller you have already begun that process. Your loan will be approved much more quickly, which can help level the playing field. Parting ways with a home is a business transaction, but in many cases, it’s a personal matter. Many people have a personal attachment to the homes they’re selling. Write a letter to the seller and perhaps include your picture. Let them know what you love about their home and how you are looking forward to taking great care of it and living there for many years. This may give you an edge over potential buyers who are telling the seller what they need to change! If you feel comfortable making an offer without having a full-blown home inspection, many times you can get what you need to know by hiring an inspector or contractor. They can come with you to a showing prior to writing an offer. This can help you to know the important details about the home that they know to look for, and that will allow you to drop the home inspection contingency. Many times that will look more appealing to a seller than a cash offer with a home inspection. Timing is often an important element to both homebuyers and sellers. Find out what their ideal closing date is and try to make it work if it all possible! In addition to working around the seller’s schedule by keeping contingency dates as tight as possible, it can be a good idea to keep additional requests to a minimum. The seller will feel better about your offer once they can feel confident that all the contingencies such as the mortgage or inspection contingency have been met! I hope you found these tips helpful should you find yourself up against multiple offers and possibly a cash buyer. If you’d rather watch a video with this information, visit my YouTube channel for this and many other videos. 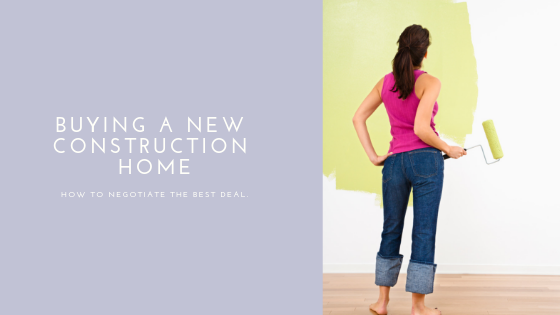 Are you looking to buy a new construction home in the Boston MetroWest area and you want to know how to negotiate successfully? You will want to read this and watch my video. #1 Find a great Agent. Many builders will not allow you to hire your own agent if you wander into the new homes sales office without representation. The builder's sales agents are paid to represent the builder, regardless of what they may tell you. Many will use high pressure tactics to persuade you to sign a contract. Find an agent experienced in new construction and let your agent introduce you to the builder so you're covered with someone working in your best interest. #2 Negotiate on upgrades, not price. Many builders will throw in some extras since that is where they make the most money. They also do not want to drop their prices because it doesn’t look good- not only to new buyers but to those that have already purchased. Think about the extras you want and ask your realtor to negotiate with some of those. #3 Keep your emotions out of it! A builder is a corporation; treat it like a business transaction without emotion. This is where having an agent who has your best interests at heart is critical. Many times I will tour a community with a client, and then suggest that they head home so I can talk to the sales rep by myself. I don’t want them to know how badly my buyer wants the home right away. A good poker face in the beginning can go a long way to negotiating on your behalf. #4 Be prepared to walk. Be willing to walk out the door. If you feel you are getting in over your budget then get up out of your chair and let the builder know this isn’t going to work. There’s a big chance they’ll come running to ask what they can do to get you to stay. #5 Consider buying a finished home. If there are any homes that are already up in the complex, or even the model if the builder is willing to sell, you may be able to get a better deal since in both cases the builder knows his costs already and may be ready to get the home out of their inventory. #6 Don't Automatically Use the Builder's Lender. Builders often prefer their own lender because the builder will be kept fully informed of your personal progress. But a builder's lender might not offer you the best deal. Ask if there is an incentive to use the builder's lender and then shop around to compare rates. #7 Get a One Year Warranty. Most builders do this but if not have your Realtor negotiate one. If it does exist, read the fine print so you know exactly what the builder is covering. Also, if the home is not yet built make sure there is a penalty in place if the home is not built on time. If a builder goes way over the projected close date, this not only is an inconvenience but it could cost you real money with your lender to hold your rate. #8 Get your home inspected by a Licensed Home Inspector prior to closing. Make sure your Realtor adds a home inspection contingency to the offer. The Home Inspection will usually be done a few weeks prior to closing and will be for punch list purposes only. This will not only insure you are getting what you paid for but will get the builder to work on a timely basis to fix any issues prior to close. If you’re looking to build, buy, or sell a home near Boston, be sure and contact me. I’m happy to assist you. Is video more your style? Check out my videos on YouTube and be sure to subscribe.